Don’t you enjoy walking out into your garden and seeing beautiful, vibrant colors all season long? 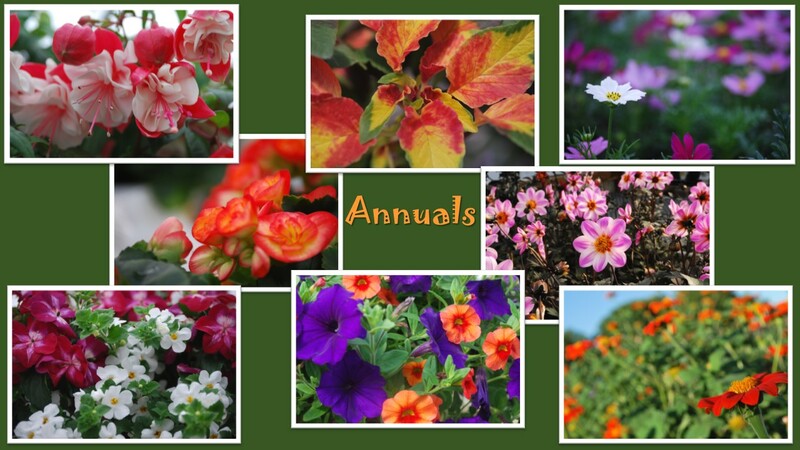 BLOOMS has a passion for flowers, which you can see from our incredible selection of annuals. Annuals are a quick way to fill empty spots in flowerbeds. 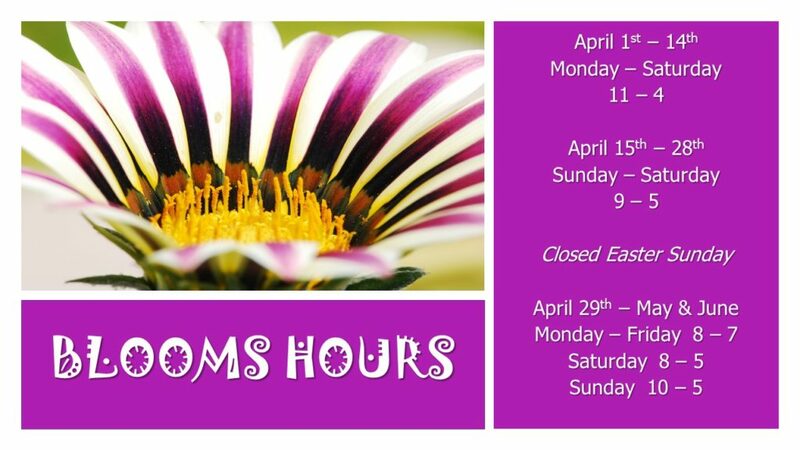 Whether you are looking for spring bulbs, creating a pollinator garden, getting your vegetables ready to grow, we can provide your gardens with the right colors and varieties of annuals from Pansies, Geraniums to Mums and an extensive selection of everything in between. Our expert gardening staff are eager to share their knowledge and passion of flowers with you. They will help determine your soil conditions, sunny or shady locations and color/plant preferences to help you have the most success by planting the appropriate plants for your garden. When you need containers planted, our staff will help you choose the right “thriller/filler/spiller” materials so you can plant them or bring in your containers and have us plant them up for you. Our stock is constantly changing so if you are looking for something specific, call us – we are here to help you! Helping You Living Life in Full BLOOM!